This course offers a comprehensive overview of the use of the holmium laser for treatment of prostatic, stone and bladder tumour disease, and as a day surgery technique. Delegates will have the opportunity to perform simulated HoLEP using the Lumenis Surgical Simulator. Your whole team is welcome. The course is ideal for novices and for those wishing to develop their experience further and set up a local service. It forms an invaluable part of the Holmium Academy Training and Mentoring Program. 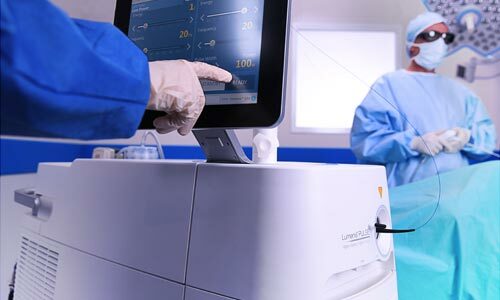 Lumenis encourage the principles of modular training, initiated by the Holmium User Group in the UK with demonstrations of Holmium Laser Enucleation (HoLEP) and morcellation. There will be a registration fee for this course.